If you are looking for an elegant countertop material for your kitchen or bathroom but don’t like a lot of color, then you might consider the popular white fantasy granite. While no granite can be truly and completely white, white fantasy comes close with its primarily white coloration with light gray veins running throughout. White fantasy granite resembles marble in a number of ways, making it a popular and possibly more affordable option if that is the direction you want to take things. Here is everything you need to know about this particular granite variety. White fantasy is primarily mined in Brazil. It is known by several names, including Brazilian Arabescato Quartzite, Super White Quartzite, Donna Maria, and White Fantasy. 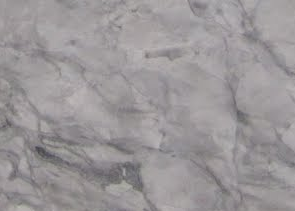 This material is technically a quartzite, and it can be used to craft countertops and fireplace surrounds without the need for any edge trimming. This particular stone is one of the less expensive options, running only around $26 per square foot on average. You can compare the cost per square foot of white fantasy to some other white surfaces here. What Colors Look Good with White Fantasy? White fantasy granite countertops are beautiful, and they work well with a number of colors and styles. 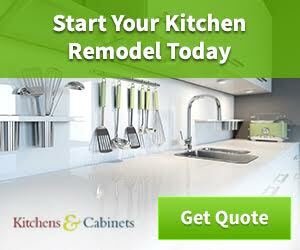 For a crisp, clean, airy look, opt for white finished cabinets. 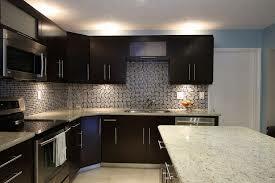 You can also go with black or even gray, as long as the gray is matched very carefully to the veins in the granite. White fantasy also looks great with an ultramodern stainless steel kitchen. This type of countertop does not look great with natural wood finishes, particularly the lighter varieties. If you want to brainstorm some great idea’s and get a feel for this majestic stone you can view photo’s here. While natural woods don’t work well on cabinets next to white fantasy vanities, they actually look quite nice on the floor next to the black or white cabinets. For the best results, opt for a flooring in a light colored finish, such as natural maple or birch. You can also go with a white or light gray floor tile if wood is not right for your kitchen. Medium finishes look nice, also, although they may detract from the airiness that comes with a mostly white kitchen. Another more dramatic option for flooring is a black finished wood or black tile. To care for your white granite countertop, a regular wipe down with vinegar and water is usually all that is necessary. Avoid harsh abrasives that may damage the surface. You should also remember to use hot pads or trivets when placing a hot pot on the surface just in case. Avoid letting anyone stand or sit on top of your counter, because this natural material can be cracked if too much pressure is applied in the wrong place. Because this stone is very pale, be careful about spilling liquids that may potentially stain the surface. Check out our comprehensive guide to granite care White fantasy granite countertops are a beautiful and durable addition to your kitchen or bathroom. To get ideas on how it may look in your home, be sure to carefully scour the internet and home improvement displays before purchasing to make sure that it is exactly what you want. Granite countertops are an investment, but the results are well worth the price.